Every once in a while the world is presented with a band that creates impressionable music. One that has the chance to change the world - Blynd is that band. World renowned guitarist and group creator John “Jubu” Smith had a vision to create a band and sound that touches all genres and age groups; one that is soulful, hip, bluesy, jazzy and popular. 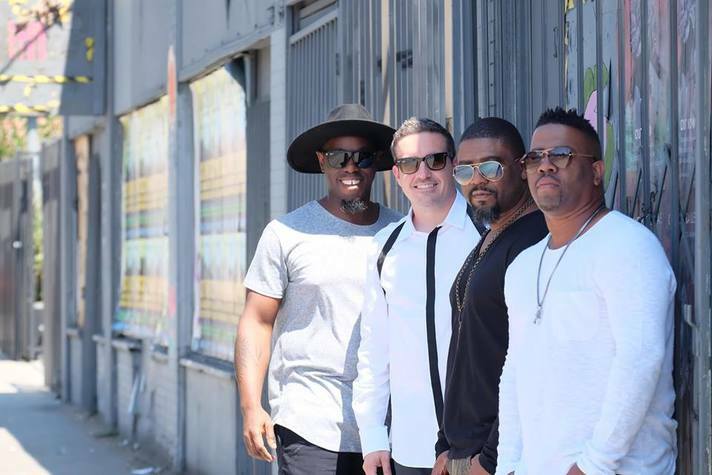 Teaming up with brother and bassist, Eric “Pik Funk” Smith, Chris Johnson (drummer), Carl Wheeler, (organ), Errol Cooney, (guitar) and a host of top industry musicians, the group is comprised of the best talent in the industry. The artists that comprise the band Legally Blynd have the experience and know-how from years as sound designers, co-creators, producers and soulful contributors to many of music’s biggest artists and songsr of the past couple of decades - Blynd is destined for greatness. Monday, February 15th marked the 58th GRAMMY Awards celebration. Eric “Pikfunk” Smith received a GRAMMY certificate in recognition of his participation as Producer on Lalah Hathaway’s, “Little Ghetto Boy” under the category of Best Traditional R&B Performance. What's your favorite Justin Timberlake song to play?